With injury doubts surrounding defending Prix de L’arc de Triomphe champion Treve, attention has now switched towards Telescope after an impressive Hardwicke Stakes win at Royal Ascot. The announcement that last year’s Arc heroine will not contest the summer’s middle-distance highlights because of pulled muscles has seen Treve drift from 4/1 to 6/1 with Ladbrokes. Although she’s still a leading chance to retain her crown, a disappointing third-placed finish in the recent Prince of Wales’s Stakes at Royal Ascot has also raised question marks about the four-year-old filly’s ability to fend off her Arc rivals. 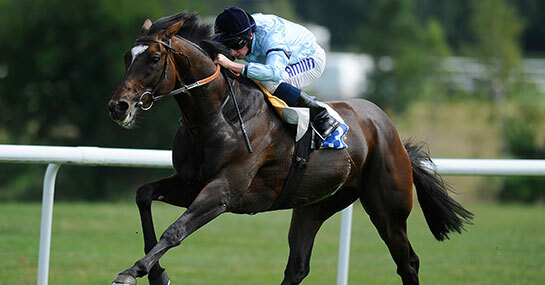 And it’s 10/1 chance Telescope who could be the main beneficiary following a return to form that has now seen Sir Michael Stoute’s Hardwicke Stakes hero enter calculations. Having suffered consecutive defeats earlier in the campaign there were plenty willing to write-off the son of Galileo. However, quicker ground and an added sharpness ensured Telescope eased to a seven-length success in Berkshire with Hillstar finishing strongly in second to complete the forecast for Stoute. It was an eighth renewal success for the trainer who is now likely to target his charge at the upcoming King George VI and Queen Elizabeth Stakes. But following that assignment the Arc is a viable option with Stoute admitting it’s something he’d consider if the conditions were right. “If it turned up quick in France he would be a huge player” the trainer told reporters. Given his electric comeback there’s no doubting Telescope’s credentials should he find fast ground at Longchamp. The four-year-old’s latest eye-catching success over a mile-and-a-half was a timely boost for connections and one that has gone a long way to silencing his critics. Meanwhile, at the head of the market Aidan O’Brien’s impressive Derby winner Australia remains the 4/1 favourite for the Prix de L’arc de Triomphe with Epsom runner-up Kingston Hill a 12/1 shot with Ladbrokes.